„Patterns and Traces“ examines a historic relation between the East and the Western World. Referencing a time in which it was in fashionable to decorate ones home with oriental artefacts. „Persian“ carpets were imported and found their way into the homes of people and were displayed as symbols of wealth and some kind of „savoir vivre“. Interestingly those carpets were traded along the same routes as the refugees take today to come to Europe for a new and better life – borders that could and still easily can be bypassed by commodities represent great resistance to those having to leave their home to seeking a new life elsewhere. 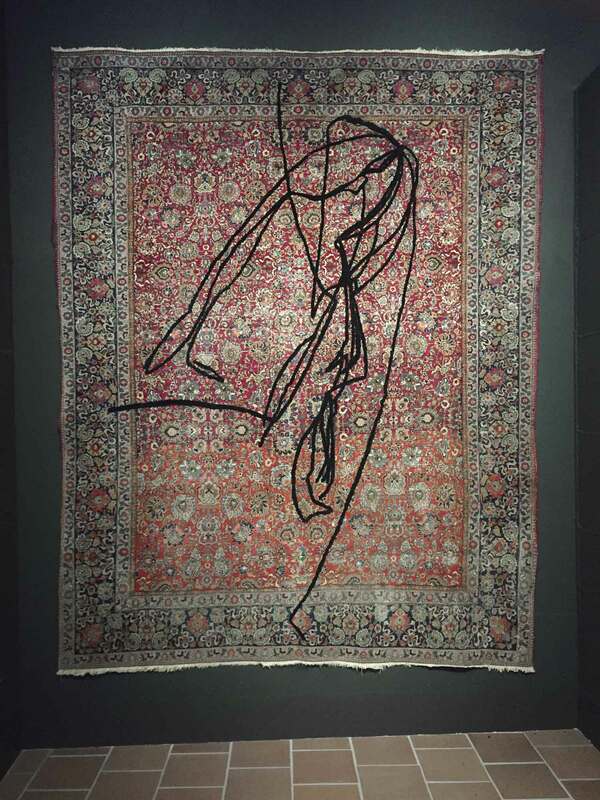 Baltensperger + Siepert decided to inscribe the routes described in the book „Ways to Escape Ones Former Country“ onto the surface of a 100 years old oriental rug. 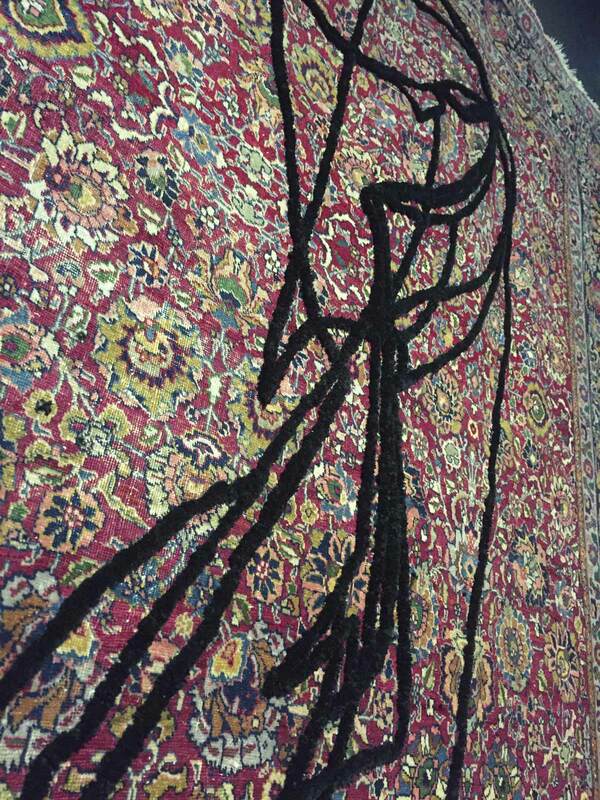 The routes are knotted into the old rug and form a relief that slightly sticks out on the surface. With this aesthetic overlaying, Baltensperger + Siepert articulate links between the flow of migration and Europe’s former colonial politics, which have continued up to today in a modified form.